Click on the profile links of our doctors to learn more about them! 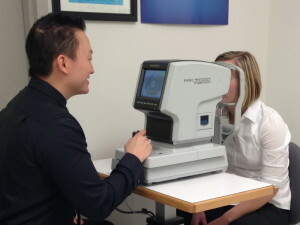 Each of our Vision West eye care clinics are conveniently located inside a Lower Mainland Superstore and feature state-of-the-art optometry equipment and a team of certified eye doctors who are all highly experienced in diagnosing, treating, and maintaining the overall health of your family’s vision. Not only do our optometrists in Vancouver screen for and attend to your common eye problems, they also provide you with the eye health education , nutritional advice, and information you need to preserve your vision for years to come. 16 Convenient Locations. Outstanding Customer Service. Our goal is to make taking care of your eyes as simple and as easy as possible for you. Vision West offers our patients all the convenience of being located inside a Superstore — and the peace of mind knowing you’re being treated by a certified optometrist who uses the best professional-grade equipment for every eye exam. Now you can get your eye exam, prescription, treatment, AND groceries all on the same day! Make your family’s vision a priority! Book an eye exam at any one of our Lower Mainland locations in Vancouver, North Vancouver, Burnaby, Surrey, Delta, Richmond, Coquitlam, Pitt Meadows, Chilliwack, Mission, Abbotsford, and the Fraser Valley.